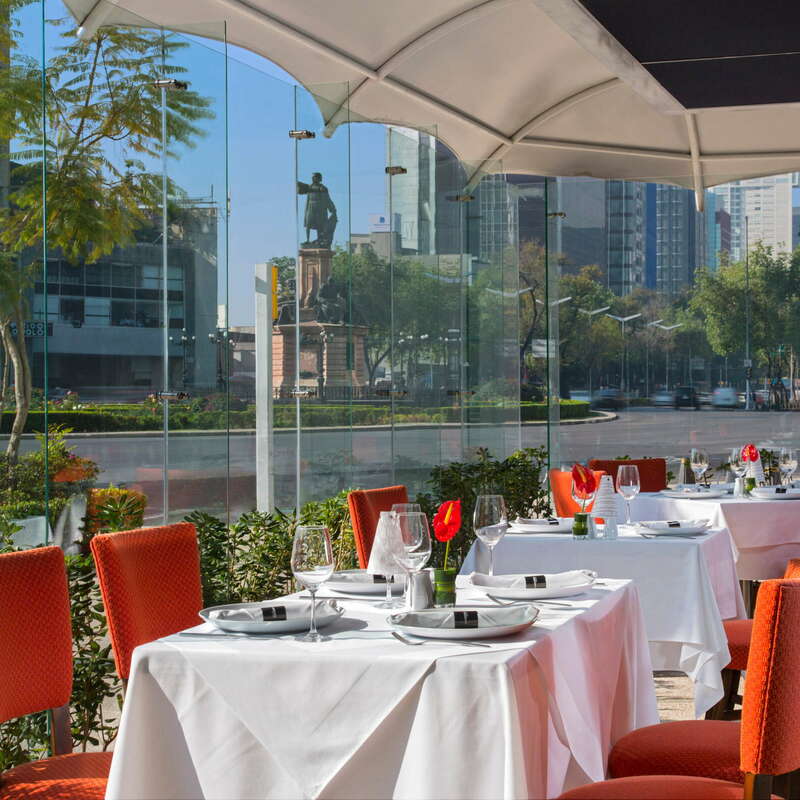 This comfortable, all-suites hotel right in the middle of Reforma Avenue action is perfectly located to get you just about anywhere in the city fast. 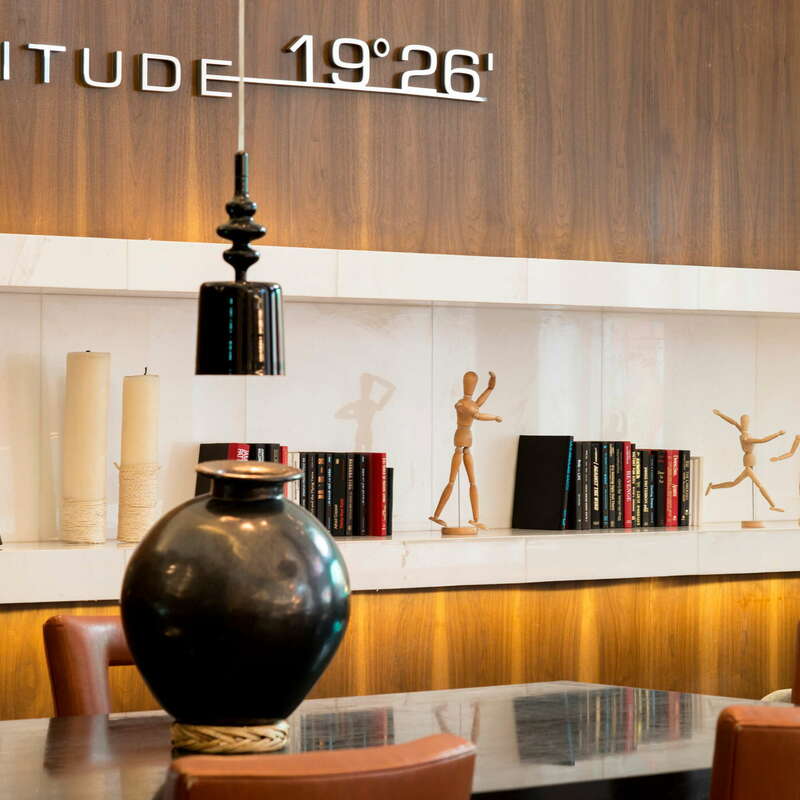 Formerly owned by Air France, the chain maintains an aeronautical motif, with the property's geographical coordinates embedded in the lobby floor, and a mezzanine bar named Latitude. 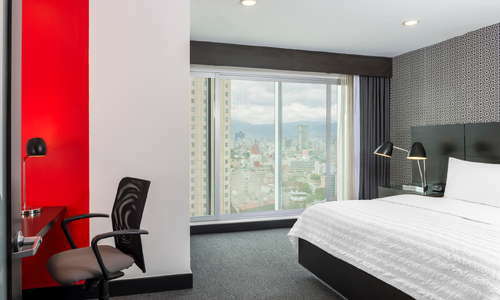 Rooms are spacious, furnished with marble bathrooms, sleeper sofas, and flat-screen TVs. 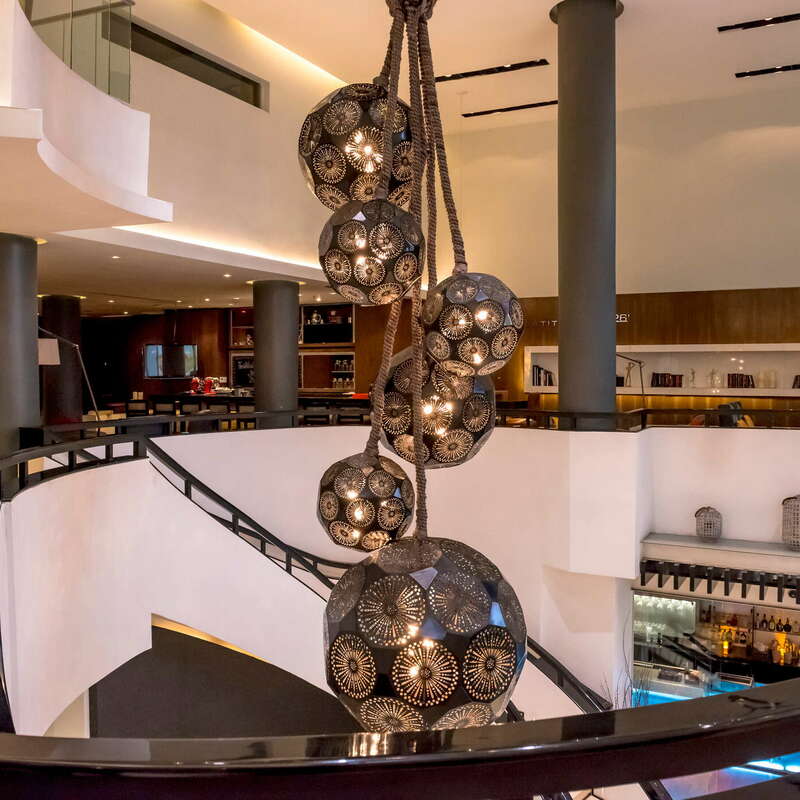 The hotel offers two free passes to the terrific Rufino Tamayo Museum for guests. Minimal and crisp, in a palette of deep grey with red accents. 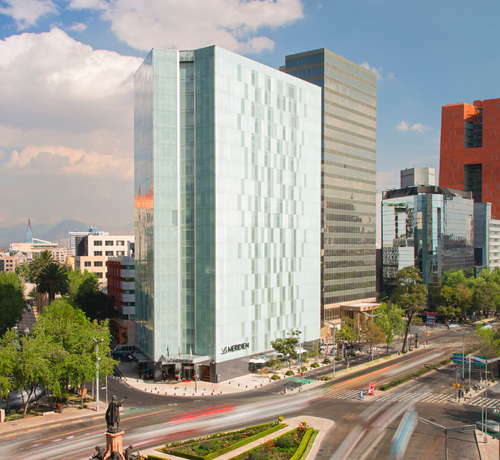 Superior and Corner Suites offer panoramic views through floor-to-ceiling windows (acrophobics beware), some looking to the nearby Monumento a la Revolución, which is lit up at night. YOU SHOULD KNOW Internet is only free for Starwood Preferred Guest members. 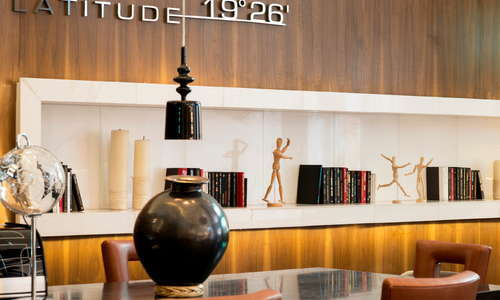 Spacious, with marble accents and coffeemakers. 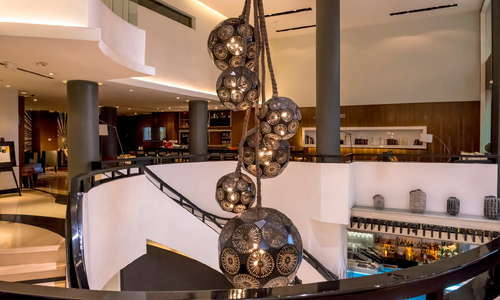 The lobby has a cozy living room feel, with avant-garde art alongside Oaxacan ceramics. A heated indoor pool is softly lit, with comfortable lounge chairs, and is rarely crowded. No on-site spa but the hotel can arrange outside services. Basic but functional, facing the pool area. Breakfasts aren't complimentary but are quite good. Latitude Bar also offers eclairs with morning coffee. 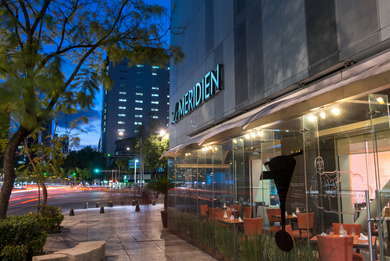 Anywhere in the Centro Histórico or Juárez neighborhoods are a short walk, and the hotel can easily arrange taxis as well as guided tours. 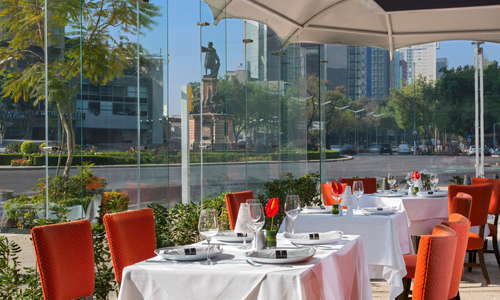 Amaya (6-minute walk) serves inventive Mexican food with an all-natural wine list. El Círculo del Sureste (9-minute walk) has been a favorite for high-end Yucatecan cuisine for decades. Hanky Panky (11-minute walk) is a hidden speakeasy with some of the city's most creative cocktails. Parker & Lenox (6-minute walk) boasts a Prohibition-era jazz theme. 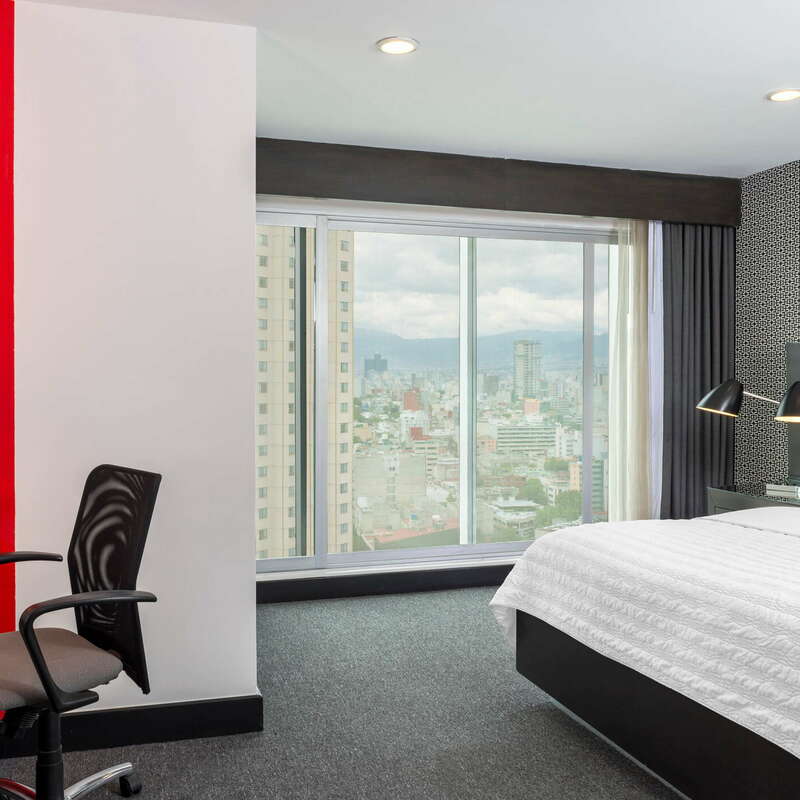 Spacious rooms and a practical choice for visitors who want to base themselves near the Centro Histórico but with easy access to other areas.